"The therapists here are wonderful and very caring." Lauren Marshall M.S., Ed. is a graduate of Salem State University with a degree in Elementary Education and Psychology, and has been with Peer Projects - Therapy from the Heart since 2011. She has also earned her Masters as a Reading Specialist through Gordon College where she was trained in the Orton-Gillingham Approach to teaching reading. She has also been trained in Visualizing and Verbalizing, a Lindamood-Bell program. Lauren started her career with children many years ago as a Preschool Lead Teacher at Majestic Harbor Community School in Gloucester. She has worked as a Head Start teacher at Pathways for Children, also in Gloucester, where she was introduced to Peer Projects through a training she attended. Lauren has worked as a third grade teacher and also a first grade teacher. Though she loved working in a school environment, she is so thankful for the opportunity to follow her passion and teach reading at PPTFTH. She has learned so much from her colleagues and truly enjoys being able to work so closely with such talented professionals. 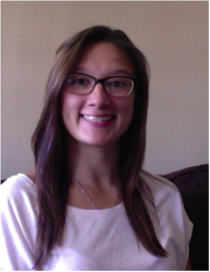 Lauren works full-time here at PPTFTH as a reading tutor, social group leader, and also helping out in the office. ​Lizz Restrepo holds a B.A., majoring in Psychology and Sociology, from the University of Massachusetts-Boston. She has worked with various populations but holds the most experience with young children diagnosed with Autism Spectrum Disorders. Lizz was able to gain previous experience collaborating with multidisciplinary teams during her time at Northeast Arc-Building Blocks Program. During her time there, she held the role of autism service provider and later on transitioned into team supervisor for the Central Middlesex region of the program. Lizz then found The FUSE Program and Preschool in Lexington, MA where she gained experience with Relationship Development Intervention (RDI) philosophies and techniques, the Zones of Regulation, and used the Social Thinking curriculum. While at FUSE, she was a lead preschool teacher, and led 1:1, dyads and social groups after school. For the past two summers Lizz also has worked at the FUSE summer camp as a lead counselor. Lizz is certified as an RDI Consultant, and looks forward to learning more on how she can better support the families she works with. In her spare time she enjoys volunteering for a Special Olympics program, coaching swimming during the school year and boating during the summer. Lizz joined our team in August 2016 and could not be happier to be part of Peer Projects - Therapy from the Heart. She looks forward to collaborating with everyone! Sean Patrick Walsh A.A.S. first began working with children 8 years ago, as a teacher’s assistant at an elementary school, while earning a degree in Architectural Engineering. From there he became an after-school program instructor throughout several public and private schools on the north shore, teaching kids (K-6), engineering and physics concepts using LEGO. To better assist some of the children with special needs who joined these programs, he attended The Interdisciplinary Council on Developmental and Learning Disorders training on the DIR Floortime® model, earning his first certificate. As his passion for helping children grew, he connected up with The FUSE Program and Preschool in Lexington, MA, where he was trained in and applied Relationship Development Intervention® (RDI) and Social Thinking® strategies. There, he gained experience as a camp counselor, 1:1 aide, home provider and eventually a lead classroom teacher. While teaching in the preschool, he earned his second certificate in DIR Foortime® from the ICDL. He also currently co-runs the sports program SCORRE, working as coach. 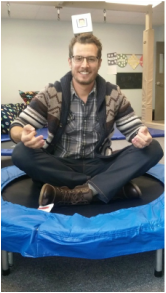 Sean joined Peer Projects Therapy from the Heart in the fall of 2015 and is now with us 20 hours a week running groups (including our new social pragmatics LEGO® group on Fridays at 3:30! ), seeing individual clients, and helping out in many ways behind the scenes. Look for our weekly quote board in the waiting room. This is just one of Sean's many contributions! Sean is thrilled to work and learn from the amazing staff and children he sees at PPTFTH.